News of Michael Vick's 2nd signature sneaker coming back to retailers has sparked many people's attention. As the beloved Nike Air Zoom Vick 2 makes a triumphant return, Vick fans are also hoping Vick himself can turn things around in the NFL. The Nike Air Zoom Vick 2 "Falcons" is the newest design scheduled to release next month, and it couldn't be any more perfect. 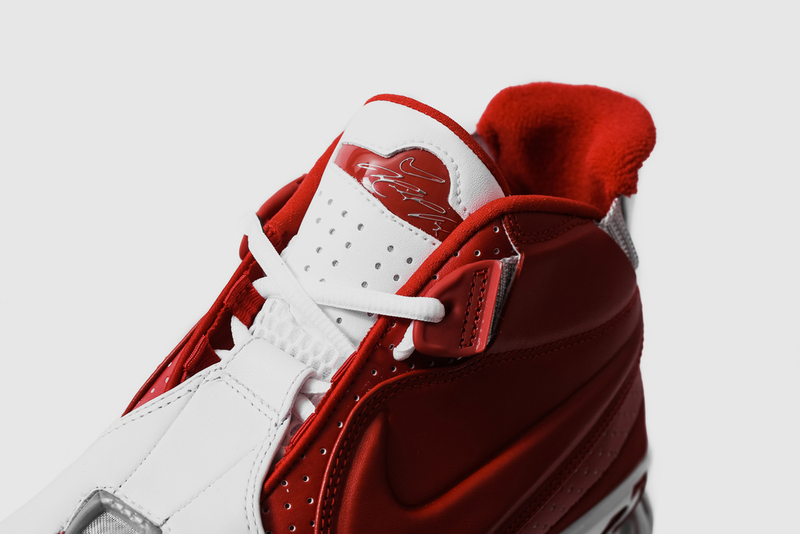 The Nike Air Zoom Vick 2 "Falcons" sports Vick's original team colors of the Atlanta Falcons. White and red trade shots throughout the leather upper creating a dope aesthetic. If you're a fan of these babies, look for the Nike Air Zoom Vick 2 "Falcons" to hit retailers July 2nd at select Nike retailers like Culture Kings.